The stronghold where now the town of Furore exists was known from earliest times to be impregnable even to the attacks of the Saracens that often visited the area. 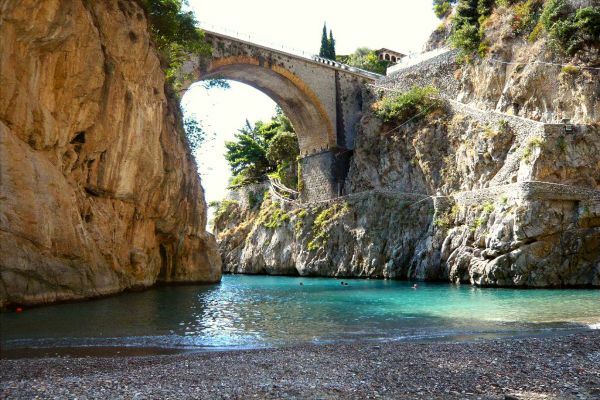 Furore as a town came into existence when the inhabitants of the Royal city of Amalfi decided to move the spot in about 1752. There was little land that could be cultivated and very few people at first. The first inhabitants were shepherds and artisans and different kinds that took advantage of the streams that flowed down in the area into the sea and contructed watermills and different kinds. The Furoresi were know to be industrious and determined hard workers. Several people from Furore lived to over one hundred years of age, the oldest of which was Jorlandino Merolla who lived to be 125 years.